This dry season, the consumers of Kathmandu Upatyaka Khanepani Limited (KUKL) are sure to get only 23 litres of water per day per person given rising power cuts and almost no increment in water sources in the past year. For urban areas, an individual’s water need per day is 100 liters, something acknowledged as necessary and set as target by the country’s Urban Water and Sanitation Policy. This decrease in water supply will surely add to the existing water woes. There is no guarantee that all the areas get similar water supply. Consumers are experiencing inequitable distribution of drinking water in different locations. This dry season, the KUKL must scientifically divide the supply areas and make necessary arrangement for equitable distribution of water in all areas. Similarly, KUKL should effectively carry out its leakage control without much ado as it helps to increase water supply. In addition, the KUKL should implement immediate plans of water production augmentation rather than waiting for Melamchi Water Supply Project to complete. Kathmandu: The old Ikha Pokhari (pond) in Chhetrapati has dried up after the Kathmandu Upatyaka Khanepani Limited (KUKL) started to extract groundwater by constructing a tube well near the pond. Principal of Kanya Mandir School Indira Pandit blamed the tube well constructed by the KUKL for the dry pond. Kathmandu: An organisation of squatters has announced a series of protests against the government decision to evict squatters from the river banks in the valley. Organising a press meet today, the National Squatters’ Forum said the landless people will start their protests tomorrow and enforce a nationwide general strike against the government on January 17. Kathmandu: Come March, valley residents who do not have the luxury of owning captive water sources will have to make do with just around 23 liters of water per day per person given rising power cuts and almost no increment in water sources in the past year. For urban areas, an individual’s water need per day is 100 liters, something acknowledged as necessary and set as target by the country´s Urban Water and Sanitation Policy as well. Kathmandu: The Asian Development Bank has pledged to provide loan to the City Development Fund for six drinking water projects. According to CDF, the budget will be spent on Karhia-Makrahar water project of Rupandehi, Shivanagar of Dhangadhi, Indrapur of Morang, Damak of Jhapa, Sandhikharka of Arghakhanchi and the last one in Baglung. 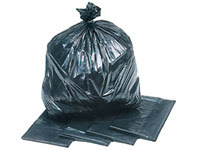 Kathmandu: In a bid to get rid of low-quality polythene bags from the city, the Kathmandu Metropolitan City (KMC) is preparing to enforce a complete ban on the use of plastic bags below 20-micron thickness in the Kathmandu Valley. Keeping the date of February 19 in mind, KMC is also preparing to launch a plastic-free campaign. February 19 is celebrated in the country as democracy day. KMC is holding consultations with different stakeholders to make the drive successful. 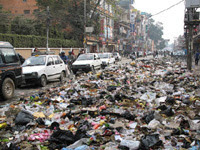 Kathmandu: The fuel shortage persisting in the country has affected the collection and disposal of garbage generated in the Kathmandu Valley. Kathmandu Metropolitan City (KMC) has been unable to transport garbage from the Teku transfer station to the Sisdole Landfill site due to fuel shortage. Around 20-25 vehicles used to collect and transport garbage to Sisdole. However, only 8-10 vehicles are collecting and transporting garbage to Sisdole at present owing to fuel crisis. Kathmandu: There is a debate raging over the government’s reported plan to install a diesel plant, considering billions of rupees needed to import fuel to run the facility. Advocates of hydropower say, at a time when the country’s potential of generating tens of thousands megawatt of clean energy remains untapped, setting up plants of the said up to 200 MW capacity would make the country further dependent on fossil fuel, which the nation produces none. Kathmandu: Kathmandu Valley Water Supply Management Board (KVWSMB) has taken action against 13 corporate organizations for illegal extraction of groundwater. The KVWSMB had raided 15 organizations on December 21 and December 22 and found the organizations extracting groundwater without acquiring license from the KVWSMB and slapped fine on the organizations. Kathmandu: If a major quake strikes the Capital city, more than one million people are likely to be homeless. One of the biggest challenges in the Kathmandu Valley will be finding spaces to accommodate the homeless. The Government of Nepal and UN agencies have attempted to address this problem. Baitadi: With the aim of declaring ‘Open Defecation Free Zone’ in one of the freed Haliya settlements, toilets were constructed. But due to shortage of water the toilets have become useless. Even though toilets were constructed with the help of Haliya Empowerment Project at Lorkha of Patan-4, locals are forced to defecate in the open.”First provide us water, then identity cards,” demanded Phundi Sarki, member of a freed Haliya family. Tanahun: Police have arrested two persons from Ghansikuwa-1, Nahala Tuesday on the charge of beating up a Dalit woman for touching water pot at a public water tap. Ajit Shrestha and his daughter Aradhana were arrested after a complaint was lodged with District Police Office, Tanahun, on behalf of Maya BK, 27. Lamjung: Members of the Federation of Indigenous Nationalities vandalised the office of Besisahar drinking water and sanitation committee protesting the officials’ decision to sack staffers. They alleged that staffers were sacked because they were from an ethnic community. Dharan: Making a mockery of hospital rules, BP Koirala Institute of Health Science (BPKIHS) was found to be distributing contaminated water in the hospital. A team headed by CA member Kiran Kumar Rai, who represents Sunsari constituency 1, found the source of the hospital water at Sardu River full of garbage. The BPKHIS consumes 100,000 litres of water daily. Ilam: District hospital Ilam has been facing an acute shortage of drinking water after water stopped trickling down from the two tapes supplied it to by Ilam Municipality. The doctors are facing a problem in the treatment of the patients owing to water scarcity. Most affected are the operation theatre and the labor room, said hospital source. Regulating groundwater extraction is a major responsibility of the Kathmandu Valley Water Supply Management Board (KVWSMB). Though late, the board seems to be regulating the rampant extraction of groundwater in the Kathmandu Valley by cracking down on the illegal users. For the past few weeks, the board has been making the groundwater extractors pay a fine for their wrong doings. Some housing companies, water companies and star hotels have already faced the action and made to pay a fine. Exact official figures are hard to come by in a city whose bureaucracy is in a shambles. Still, it isn’t hard to figure that the municipal authorities, much like the government at the center, are bogged down by a pervasive culture of red tape and graft. Load shedding hours, which are already horrendous, are likely to tick up as regional allies struggle to power their own grids and have little to spare to light up the ancient capital.